Using rtl_tcp from RasPi over network --> works! 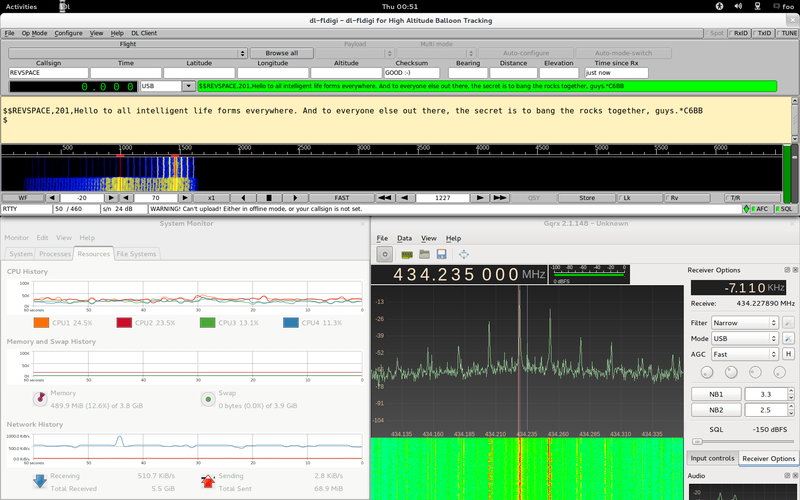 rtl-sdr compiled from git on Raspberry Pi: --> works! Currently we send and receive with just some breadboard cables. Works fine in the lab but we need some heavy duty antenna outside.